Khajjiar, popularly known as the ‘Mini Switzerland of India,’ is a small and beautiful hill station situated in the Indian state of Himachal Pradesh. It is included in the list of 160 places in the world which resembles Switzerland. It is located at a distance of 26 km away from the Dalhousie in Himachal Pradesh. It is Situated at a height of 6500 feet, Khajjiar is gifted with natural beauty and wonderful climatic conditions. Fresh mountain air, green meadows, dense forests, picturesque landscape, and snow-laden Himalayan peaks make Khajjiar a perfect destination for adventure and nature lovers. Places like Khajjiar Lake and Chamera Lake enhances the beauty of Khajjiar. Today we will be providing a complete guide to Khajjiar to make the most out of your Khajjiar trip. Despite being a small hill town, Khajjiar has a rich heritage of culture, nature, adventure, and wildlife. There are many beautiful lakes, Wildlife sanctuaries, temples, villages to explore an opportunity to enjoy trekking and other recreational activities. Make sure to enjoy everything when you get a chance to visit the Gulmarg of Himachal Pradesh,’Khajjiar’. Surrounded by green meadows and dense forest, Khajjiar Lake is popular among both locals and outside tourists. The main attraction is the floating Island which is made up of a bunch of grasses that have grown on the surface of the lake. Starting from paragliding to zorbing and horseback riding, this place provides you with many recreational activities for adventurous people to enjoy. Don’t worry if you are not an adventurer lover. You can just relax and enjoy the beautiful nature of the nearby Mount Kailash. Khalji Nag temple is situated on the bank of Khajjiar Lake. It is believed to have built in the 12th century. The temple is dedicated to ‘Khaji Nag’ -Lord of Serpents. The temple resembles the excellence of Hindu-Mughal architecture. There are idols of Lord Shiva, Goddess Hadimba, snakes and the images of Pandavas and Kauravas inside the temple. Kalatop Wildlife Sanctuary is the home of a large variety of flora and fauna. People come here to witness some of the rare varieties of animals like Himalayan black marten, leopard, jackal, deer, barking goral, langur and bear. It is surrounded by dense deodar forests dotted with small beautiful streams. This place is perfect for trekkers and people who enjoy nature walks. There are many villages, hidden in the dense forests and snowy mountains, to enjoy the peaceful life of the mountains. You can visit villages like Ladi and Rota, famous for high-quality apple orchards and the beautiful views of the snow-laden mountain that they offer. If you get a chance, never miss the opportunity to visit authentic Himachal fare! Kangra Airport which is approximately 78 miles away from the Khajjiar, is the nearest airport while Pathankot railway station which is 58 miles away from Khajjiar is the nearest railway station. After reaching any of these two places, you can hire a bus or a taxi for the rest journey or you can directly reach Dalhousie or Chamba through a private or a government bus and then; hire a cab for the rest of the journey which will take approximately an hour to reach ‘the abode of snow’- Khajjiar. There are many options for resorts and hotels to stay in Khajjiar depending upon your budget and requirements. If you don’t want to invest much, you can opt for hotels like the Hotel Country Resort and Hotel Mini Swiss. If you are a luxury lover, you can stay in Hotel Royal Residency or Deodar Manor. If you want to experience true Himachal hospitality, you can look for guesthouses and homestays like Anjali Homestay and Puri Guest House. Himachal Pradesh Tourism also runs many hotels and cottages. You can also stay there. All these resorts and hotels provide you with the best possible services and will make your trip more enjoyable and memorable. You have limited eating options in Khajjiar. There are fewer restaurants and few street stalls which are known for their soups and noodles. Hotels and resorts provide a wide variety of taste buds. Don’t forget to enjoy local food and cuisines. 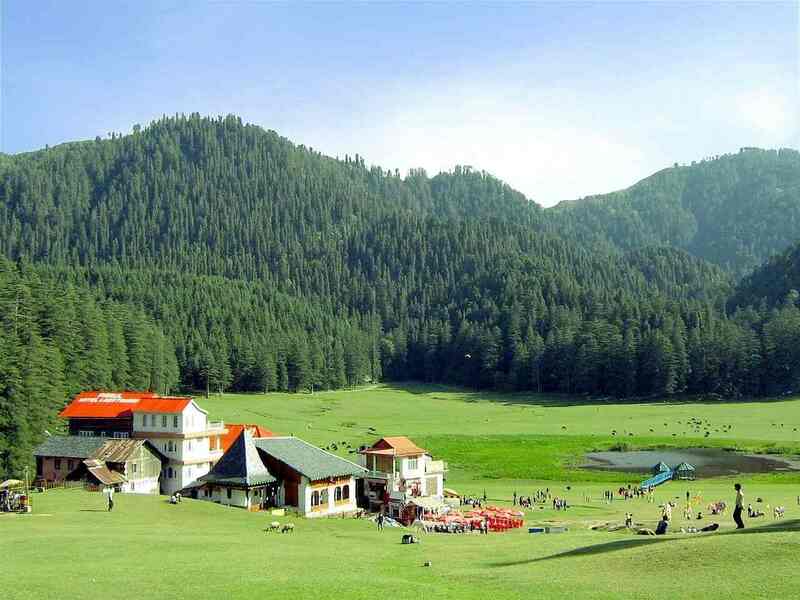 Khajjiar is one of the most charming tourist spots in India. If you are a nature lover or adventurous lover and you enjoy going to chilly hill stations and exploring things, Khajjiar is the best option. So what are you thinking about?? Plan a holiday trip to the ‘Mini Switzerland of India’- Khajjiar. What is Lucid Dreaming & How to Lucid Dream?